Following on from the marriage of Fanny Dinnis to John William Forbes in 1876, the next piece of information about them comes from the London, England, Births and Baptisms Directory. Their first child was baptised on July the 8th 1877 – a daughter named Edith Beatrice. I then noticed the name above Edith’s looked familiar, and sure enough it is my great-grandfather’s first-born child – a son named John Taylor Dinnis. His parents are listed as George and Catherine Dinnis. This took place at Holy Trinity Church, Islington. So they must have had a joint celebration with George and his sister Fanny both celebrating the births of their first-born children. It must have been a very happy occasion, which is nice because the happiness was short-lived. Little John Taylor Dinnis is listed in the deaths that occurred between Jan-Feb-Mar 1878. He was aged 1. 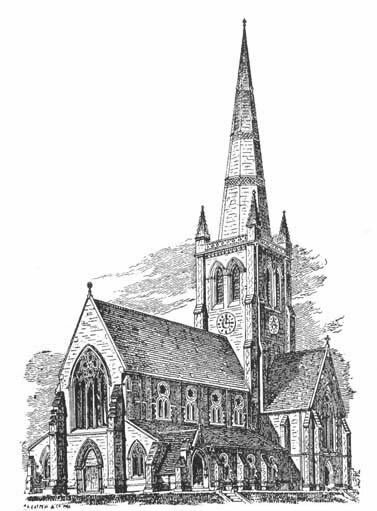 The next documentation is from the London, England, Births and Baptisms Directory, where we see that on the 27th of November 1881 a further two of Fanny and John William’s children were christened. This took place in Southwark, St Antony’s Church. From the document we see Ethel Lilian was born on October 18th 1881, and John Dinnis Hamilton Forbes was born on the 8th of May 1879. Fanny’s little family was living in Lugard Road, Peckham at this time. Her husband John William was still working as a Compositor. I have had trouble tracking the family beyond this point. In the England Census of 1891 we know John William Forbes was living with Fanny, his wife, their eldest daughter Edith Beatrice, and Fanny’s father, John Dinnis. There is no mention of John Dinnis Hamilton Forbes, or Ethel Lilian Forbes. I have found some documentation in which it would appear Ethel Lilian died, aged 7, but so far I have been unable to trace John Dinnis Hamilton, or indeed any further information about Fanny Dinnis. This entry was posted in Catherine Taylor, Fanny Dinnis, George Dinnis, John Taylor Dinnis, John William Forbes and tagged Family History, History, Holy Trinity Church. Bookmark the permalink.